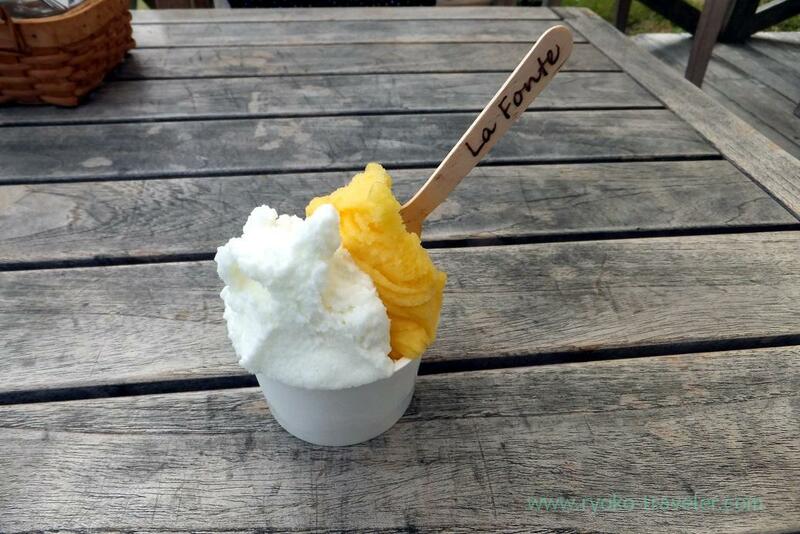 After I got to the closest bus stop by hotel’s car, I walked to gelato shop. It takes 10 minutes walk from the bus stop to the shop. 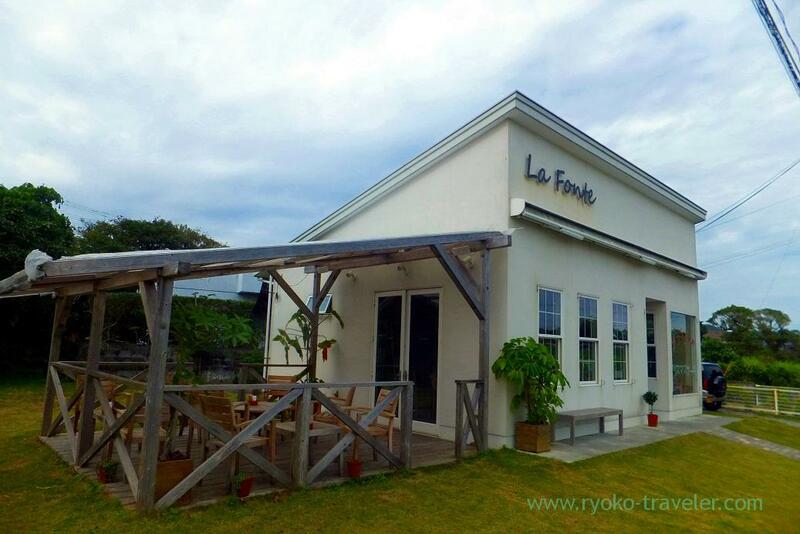 La Fonte is managed by a farm company. 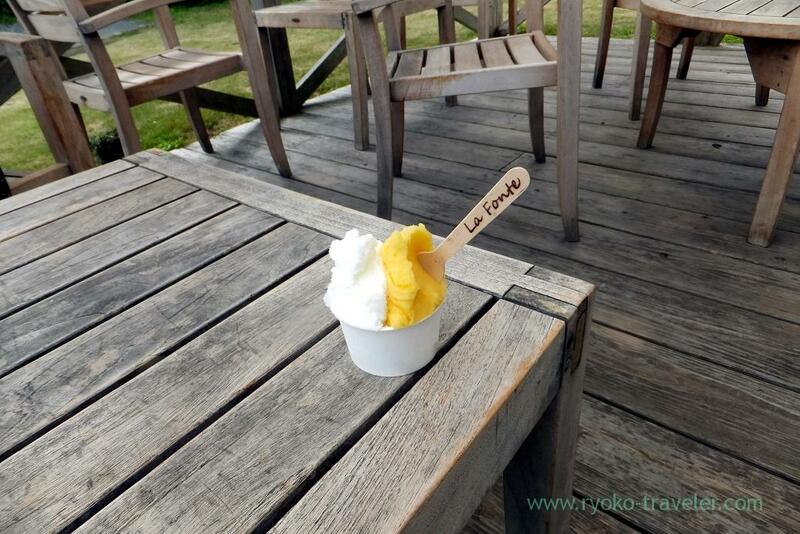 We can eat gelato, sorbet made from passion fruits, mango and tankan mandarin raised by them without chemical things, and mineral salt and brown sugar that is specialty in Amami. Because it was just after the opening time, there was no one in the shop 🙂 There were about 10 flavors in the shop. Everything looked tasty ! It was hard to decide two from them !